Writing an essay can be a challenging task. It involves research, taking notes, outlining your arguments and turning everything into a single draft. This is not the most exciting part if your academic career but as you go along, you get the required freedom to decide on the topics that you can write. As such, you can decide the kind of question that you are comfortable to answer. However, figuring this out does not mean you regurgitate information but rather, come up with fresh content emanating from the critical thinking that anchors on your knowledge and abilities. As the freedom to choose increases, you might get several essay questions with an option of coming up with your topic. The tricky part here can be coming up with a topic that is more complex than the ones provided. This can present a catch 22, but there is hope for you in the world of professional essay writing service. Sometimes when presented with topics with a bonus of originating your own does not mean some students will bother. However, if you get a chance to write an essay that pegs on the topic from your thinking, you will have better control. The process of coming up with effective essay topics can be daunting especially if you have not done it before. Therefore, this article will focus on how you can come up with effective essay topics that enable you to write a captivating piece. This is a perfect way to come up with an idea for your essay. You can think of the question that you think needs answers. This can be a scary approach because it means the question is unanswered and that you are going to provide the much-needed answers than even the scholars could not provide. If this is your approach, you are not in competition with other scholars; rather, you are trying to wade into waters they did not get a chance to go in. Remember that this is a question that has even been asked before and this technique is not about pinpointing that question. On the contrary, you are trying to come up with an essay topic that matches your interests and makes you comfortable writing it. The essay in its entirety is your reaction to anything that you are studying. If you scrutinize a topic and notice nothing unique, it is time to go back to the drawing board. Think of ways that you are going to make your essay stand out. Ideally, the curriculum does not go off the typical unique events. Instead, it takes full focus on the notable things. For instance, learning focuses on how previous rulers did their things differently from their predecessors rather than continuity, not unless this continuity stood out. When there are too many notable things, your perspective might be skewed. This is why context is crucial because you have to assess an art form irrespective of the genre. If you have a question from your instructor, he has already plotted a path for your attention to what is notable in that topic. If you do not have a question handed to you, you have a chance to figure out what is notable or strange, all by yourself. This is what makes the context very useful. It is better not to use your first idea of something because most likely, that is what everyone is going to come up with. The second idea cannot also be applicable because that is what cleverer people are going to use because they have used a little bit more thinking. However, your third idea is the best applicable in this case because that is the only one that you will be able to think of. The idea will belong to you. This is a technique applicable beyond the writing realms. Remember that you are trying to come up with a unique idea that will help you in writing an effective essay. The essay writing process becomes easier if you have to think of ideas that no one else has dared to think of. The third idea gives you a chance to think outside the proverbial box. Once you have two ideas on paper, think of something that is less common. Think of your instructor making everyone’s essay. If yours is less conventional, it will break the monotony that comes with identical essays based on a similar topic. Your instructor will be interested. This is a risk worth taking, but you have to be sure that you can crack the topic wide open. If everything else does not work out, there are many brainstorming techniques that are essential in coming up with a top topic for your essay. You can come up with ideas for just about anything, and one of them can be a good anchor for your essay writing process. You can think of many bad ideas, write them down, and go through them repeatedly. This technique helps in relieving the pressure and is applicable especially when you cannot think of anything constructive. 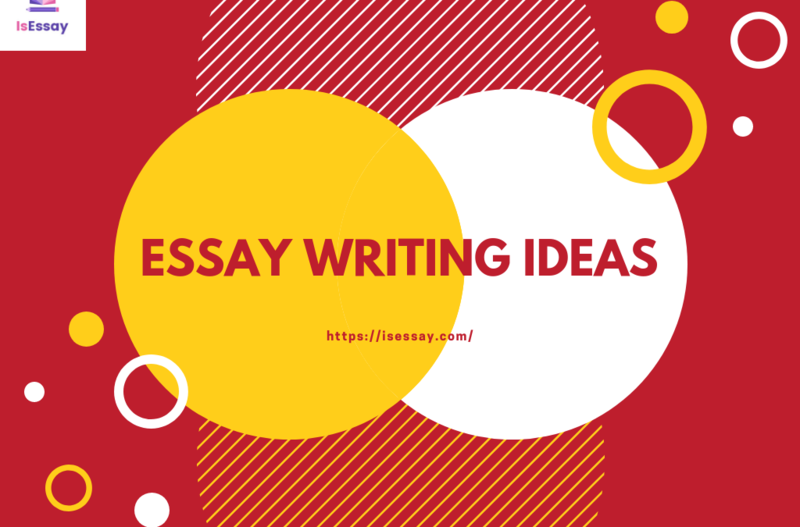 You may find out that instead of coming up with bad ideas, you have many good ones to choose from, and that is how you write an effective essay. This involves writing down anything that comes to your mind. Instead of writing just about anything, it is better to make this process more disciplined. You can stick with a general subject area based on the subject you have studied in class. During the process, you might find yourself having excellent ideas on the topic based on the knowledge that you already have. As you continue, the process will be more focused, and it is a good sign that you are on the road to coming up with the best idea for your essay. These techniques of coming up with an effective essay topic can be used at any time.